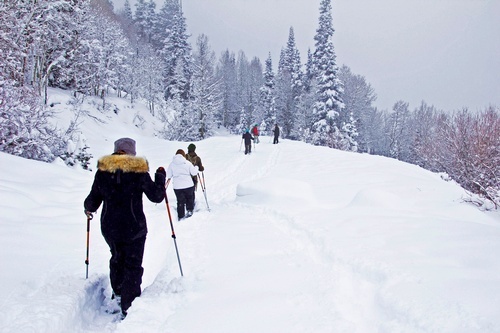 Join us for Snowshoe Tuesdays this winter. For our Fourth walk will start at the Chequamegon School Trail and then head over to AJ's Bar and Dining to warm up and have some refreshments.. The Crazy Loon will have limited snowshoes for rent for these events at $5 a pair. To insure rental availability, rentals need to be reserved by calling The Crazy Loon at 715-339-6254 Payment will be collected at the event.